Trooper Emmanuel Nartey, from the First Royal Tank Regiment, has been selected to represent Ghana in judo at the London Olympics. This will be 29-year-old Tpr Nartey’s first Olympic Games and he is also the first Ghanaian to represent his country at judo. Tpr Nartey trains at Bath University alongside the British Judo team and qualified for his place after finishing fifth in the African Championships. He joined the British Army in 2003, where his chain of command recognised him as a talented sportsman and granted him the time to train and compete at international level. He competes regularly on the International Judo Federation World Circuit and is currently ranked 32 in the world. 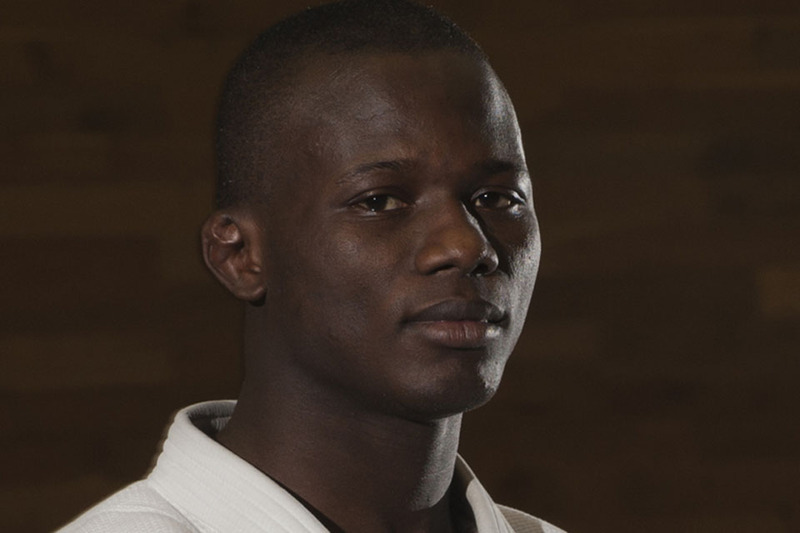 Judo is recognised as one of the toughest professional sports but Tpr Nartey is in with a realistic chance of a medal. It’s going to be a big challenge - it is the top athletes in the world - but amongst the top 32 I can pretty much beat anyone,” he said. So far this year all the top athletes who have come against me have lost, so I am at my peak, which will give me the confidence going into the Games. Tpr Nartey took up judo at the age of nine in Accra, following in the footsteps of his two brothers. It quickly became apparent that he was able to excel in the sport and, having moved to the UK in 2002, he got the chance to take part in the Manchester Commonwealth Games. From there he went on to win medals across four continents, including a World Cup Gold Medal at Apia in Samoa in 2009. My friends at the regiment couldn’t believe that I am an Olympian having seen me as a young trooper,” he said. “I think it gives them hope that if you dedicate yourself to something you eventually achieve your dream. I’m proud and grateful for their support because it has been a team effort and I’m happy to be able to fight for them. To represent my country at the Olympics is a dream come true,” he said. “I have been working hard for the last eight years so I’m very happy, but the job is not done yet. My target is to finish in the top four; to win anything from a gold to bronze medal would be fantastic. [Trooper Nartey] has produced many impressive performances over a very long qualifying period against some world-class opposition,” said Major Childs. “He has been singularly driven by his desire to compete at the Olympics and his dedication and determination to succeed in his goal have been compelling. The qualification process is extremely difficult within judo and involves regular setbacks which constantly test the mental robustness of athletes. We are all incredibly proud of Trooper Nartey, and I am convinced he has the talent, tenacity and, above all, the determination to win an Olympic medal. • Judo made its first appearance as a medal sport at the Tokyo Games in 1964.